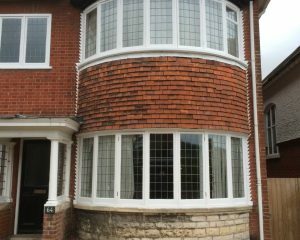 HRG Services were contracted to carry out various refurbishment tasks at this 1930s semi-detached house in Southampton. 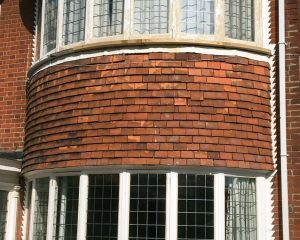 All works were carried out on time and budget to the satisfaction of the clients. 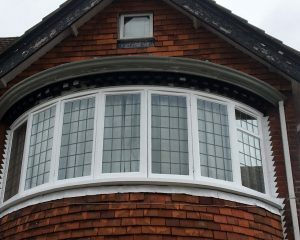 The works included installation of double glazing into the existing casement windows, restoration, draught proofing, full painting and new window furniture added. 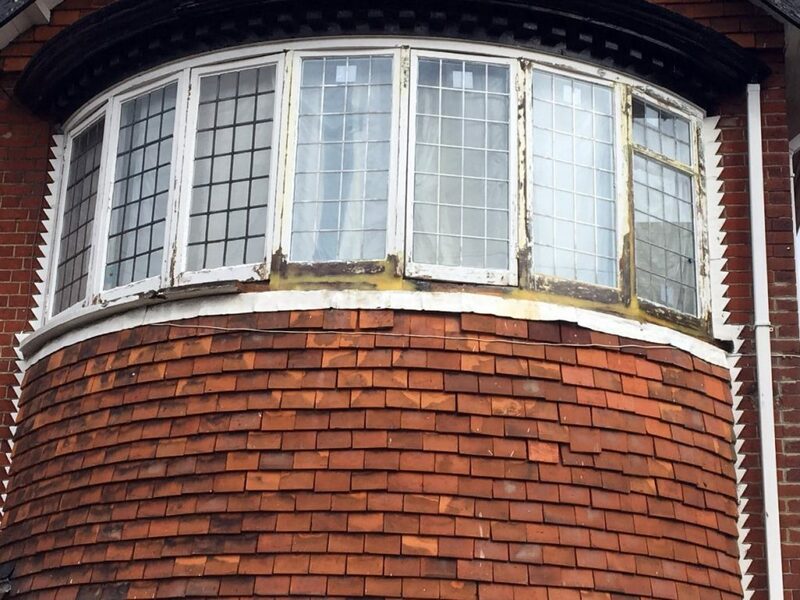 In addition we also carried out repairs to the guttering over the front bay window and repainted it. 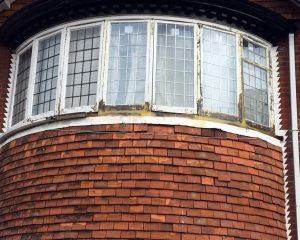 Our specification was to restore, refurbish and install slim double glazed leaded units into these existing bay windows. 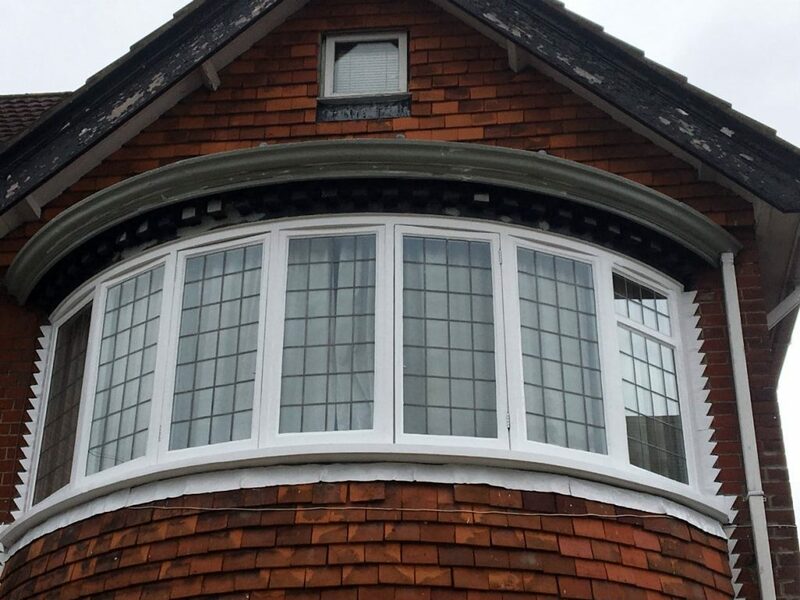 The windows were in a bad state of repair, but our team after careful and extensive preparation restored them to look like new but with the modern benefits of slim double glazing. 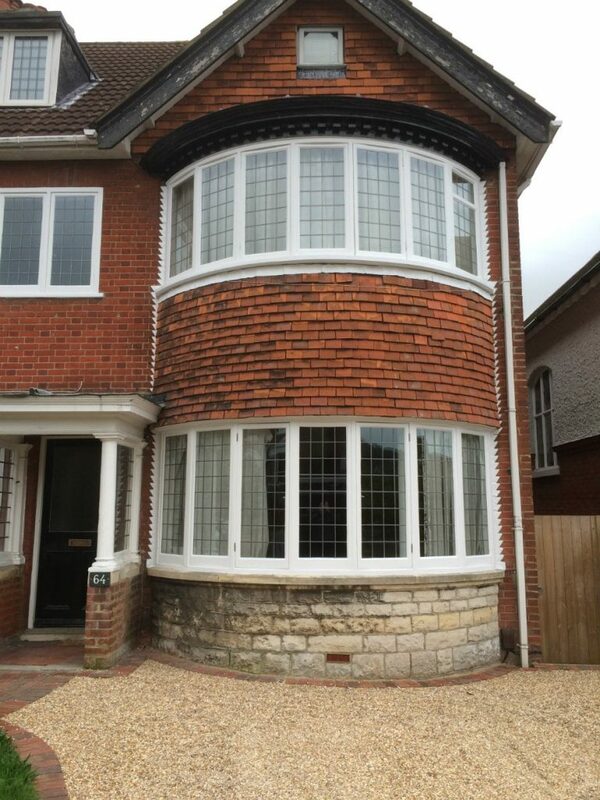 To install the double glazing into the existing casement windows we removed the original glass and routed the windows to allow our 12mm slimline double glazing to fit. 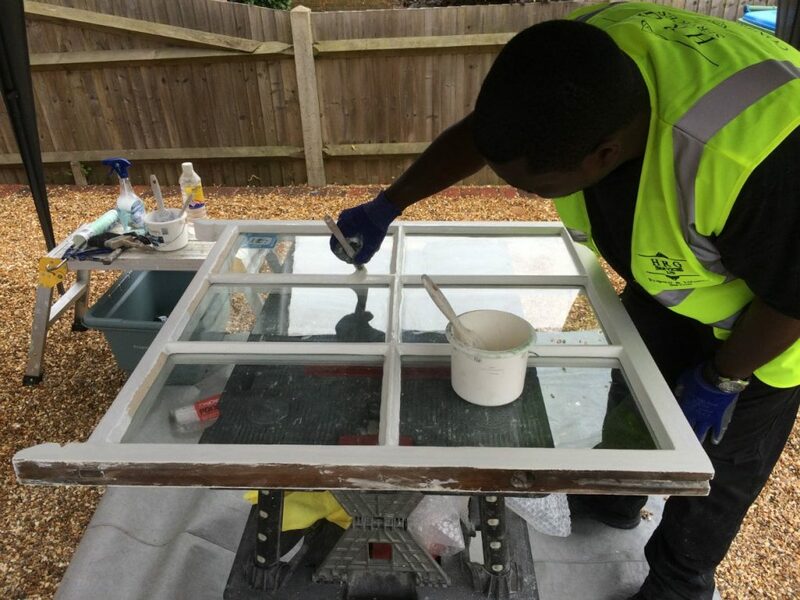 Once the double glazing had been installed and the windows restored, we then primed, undercoated and painted them, giving the windows a total overhaul and the results were impressive as can be seen in the gallery. 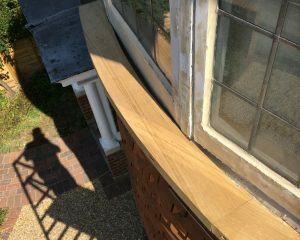 We were also instructed to carry out works to the cast iron guttering. 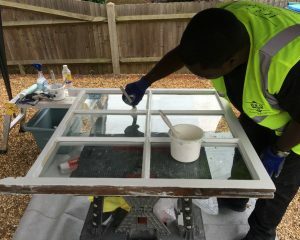 All works were carried out to the great satisfaction of the clients. Just wanted to pass on my thanks to you and of course Keith for the work that has been done. 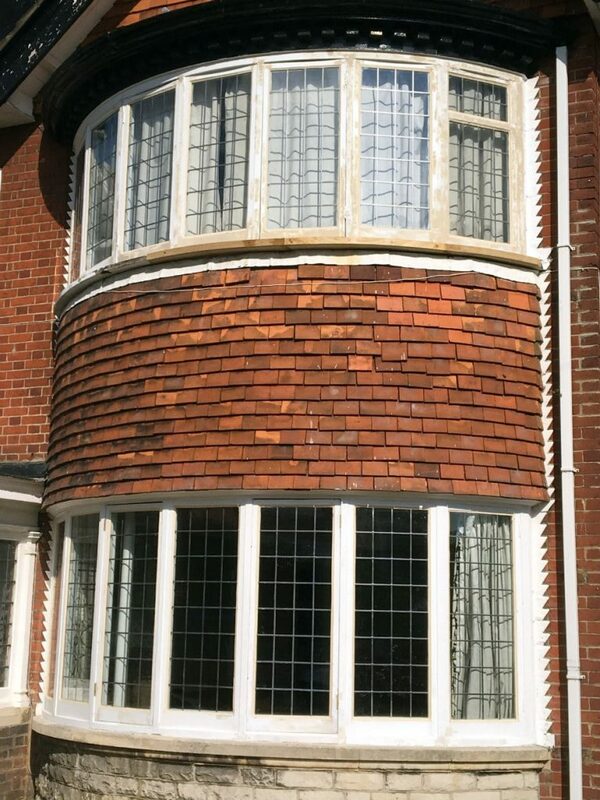 We are delighted with it and really pleased we had Keith carrying out the work. One of the things I was pleased about what that at no stage did it feel like the work was being rushed. You took your time and did the job very thoroughly. It is much appreciated. 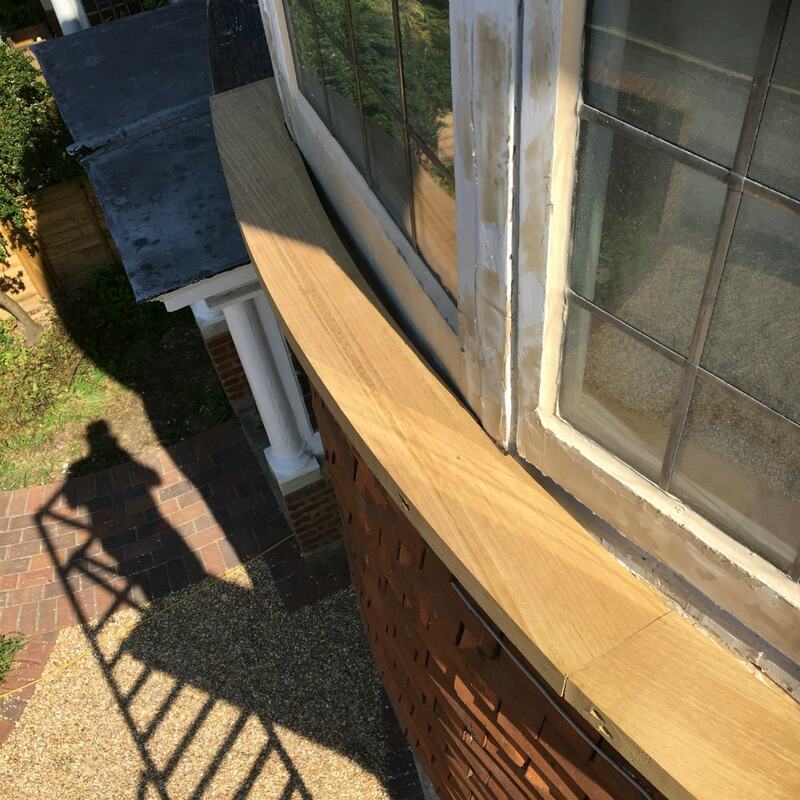 We will certainly get you back to carry out the work required on the front porch as well, plus at the same time I would like you to fit the sash window furniture you used on the back bedroom to the remaining 3 x sash windows in the house.